"Clever & More" caipirinha glasses. Wonderful glasses filled with charm! 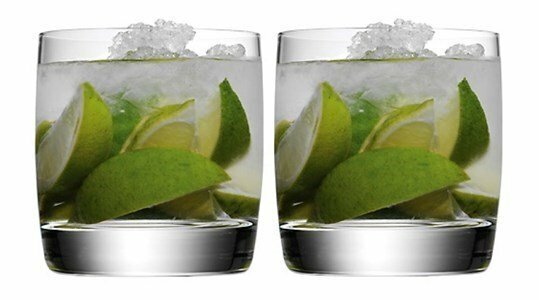 A gracefull and elegant set of 2 cups, ideal for caipirinhas. A toast to tastefull design! If someone doesn't like this Brazilian tropical origins delicacy, these cups are also perfect for different drinks. Whiskey, liqueur, brandy ... They easily adapt according to your taste! Refresh yourself and toast to good times! In glass with Aquadurit quality.